“Mother of the Clubs” is the title given to one of Dayton’s leading women at the turn of the last century. 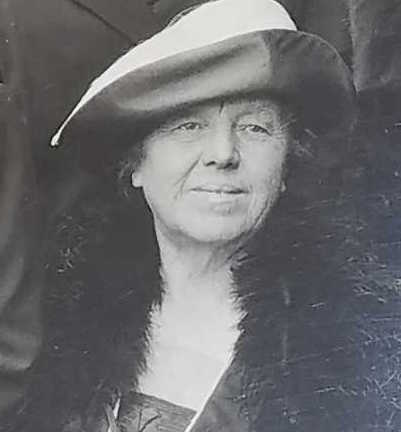 Marie J Kumler was the founder and/or president of several women’s clubs in Dayton, Ohio, including the Young Women’s League, the Friday Afternoon Club, both the Dayton and Ohio Federation of Women’s Clubs, and the Dayton Woman’s Club. But she was more than a leader presiding over these various literary and civic clubs. She was an advocate for the education and well-being of women in her community. Marie J Kumler, 1925. Photo courtesy of Wright State University Special Collections and Archives. The women’s clubs took Dayton and the entire nation by storm between 1880-1920. They provided an arena for learning and fellowship that was not typically afforded to women, and by networking with one another, these women found power in their numbers--power to change themselves and their entire community for the better. The Young Woman’s League (YWL) of Dayton was founded in 1898 by Marie J Kumler and other former members of the Young Women’s Department of the Women’s Christian Association, including Grace A. Greene, Susannah B. Huffman, and Katherine Wright. The mission of the YWL was to promote the spiritual, moral, mental, and physical welfare of women in Dayton. It did not discriminate based on religion, and was supportive of the struggles facing young working women. Young Woman’s League Board of Trustees, 1919-1920. Marie J Kumler is 4th from left in the back row. Photo courtesy of Wright State University Special Collections and Archives. Through dedication and fundraising efforts, the YWL purchased various properties throughout the city and were able to provide leisure and living space for women. They had a tea room, lunch room, library and reading room as well as lodging for working women. They also provided a retreat called Briarcliff Lodge where women could experience camping and outdoor activities. Young Woman’s League dormitory for working women located on West First Street. Photo courtesy of Wright State University Special Collections and Archives. Reading Room at Young Woman’s League. Photo courtesy of Wright State University Special Collections and Archives. Lunch room at Young Woman’s League. Photo courtesy of Wright State University Special Collections and Archives. Main Lodge at Briarcliff, Young Woman’s League. Photo courtesy of Wright State University Special Collections and Archives. Women at Briarcliff, captioned “My Kingdom for a Horse.” Photo courtesy of Wright State University Special Collections and Archives. Briarcliff memories scrapbook page from Young Woman’s League Collection. Photo courtesy of Wright State University Special Collections and Archives. The YWL cared for the women of Dayton as a mother cares for their children. Marie J Kumler and the other members of the League provided not just necessities for working women, but also a space for social activities and respite from the harsh reality of factory work and harsh labor conditions. Kumler’s work with this organization definitely provides solid evidence of why she earned the title “mother.” Join us next time as we explore the other clubs which she was a part of and how these first clubs in Dayton paved the way for an explosion of clubs throughout the city. We want you to be part of our celebration of women’s history in Dayton! Our book, due out in March, will focus on Women’s Empowerment. Since 2002, we have put over 560,000 books into the hands of children, and we couldn’t do it without your support. Please follow us on Facebook and check out our website.